Drew Dickinson and David Hughes. 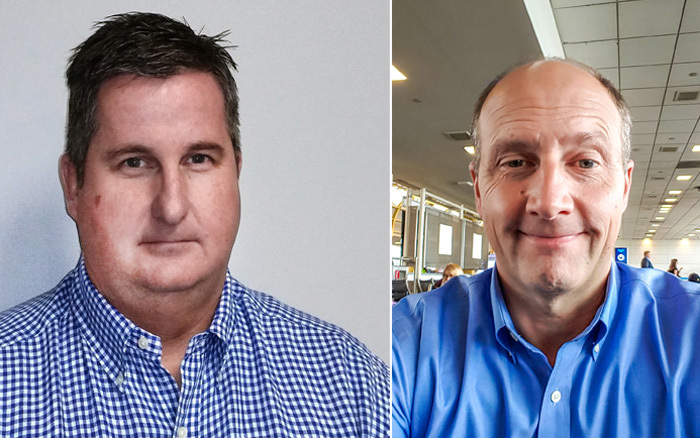 Hardwoods Distribution Inc. (HDI), which operates a North American network of 61 industry distribution centers conducting business as: Hardwoods Specialty Products; the Frank Paxton Lumber Company; and Rugby Architectural Building Products - has announced two executive leadership appointments. Drew Dickinson has been appointed to the position of president, Rugby. Dickinson has been the chief operating officer of Rugby for the past eight years, and has more than 25 years of industry and progressive management experience with Rugby operations. “Drew brings a wealth of strategic, operational and financial expertise and has been instrumental to Rugby’s success,” said Rob Brown, president and CEO of HDI. “He is an exceptional leader and knows how to capitalize on the exciting opportunities we see ahead for the Rugby business”. Dickinson succeeds David Hughes, Rugby’s previous president. Hughes will assume new duties with HDI in the capacity of senior vice president, acquisitions. In this new role, Hughes will remain part of the executive team of HDI, but focus primarily on executing the company’s acquisition strategy. HDI is North America's largest distributor of architectural grade building products for the residential and commercial construction markets.